Spread a Little LOVE event! The response to this campaign was AWESOME! I am so excited to tell you that, ALL of the pieces were matched with a recipient! YEA! I are so grateful to the many women who took the time to write and send in a nomination. The response this event was everything I had hoped it would be! I really do have THE BEST fans and friends! 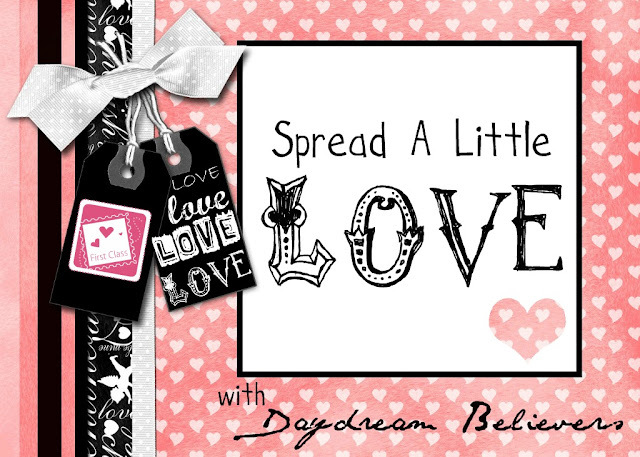 I plan to continue growing the Daydream Believer Project by organizing events like “Spread a Little LOVE” and supporting other fabulous charitable events going on in the blogosphere! ;) THANKS for all the support! Speaking of support… last week, the Daydream Believer’s Facebook page hit (and passed!) 1,000 fans! Whoo!